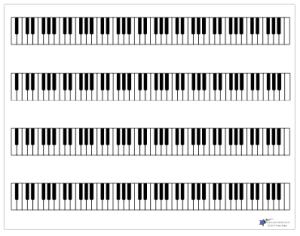 Full 88 keys on each keyboard. Ask your student to colour all of a particular note. Mark some of the keys & the student have to find them on the piano.